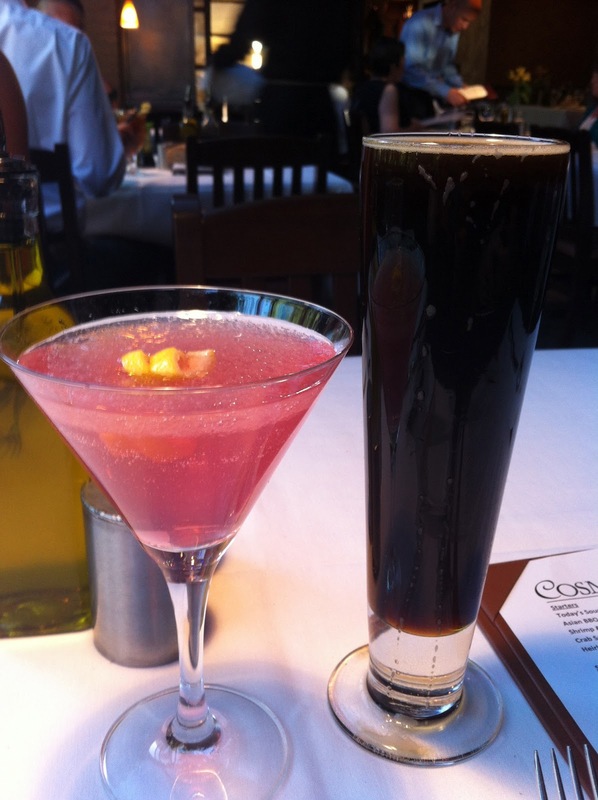 Aspen was a lot of fun, but I was ready for a bit more rest and relaxation. 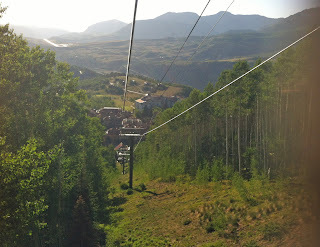 It was about to come my way on my very first trip to Telluride, Colorado. 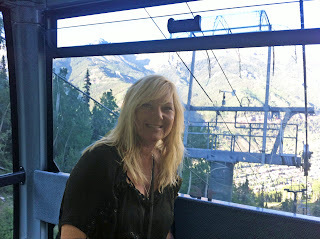 Lisa and I took the scenic drive late morning to Mountain Village, the area we were staying in at the Lumiere Telluride. I had heard nothing but good things about this boutique property and I was more than ready to check it out. 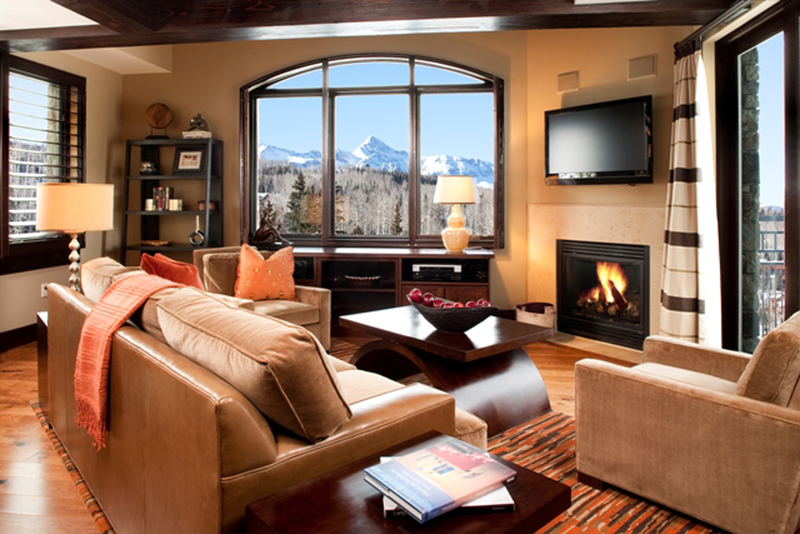 Lumiere Telluride is a hideaway among the ski resorts. 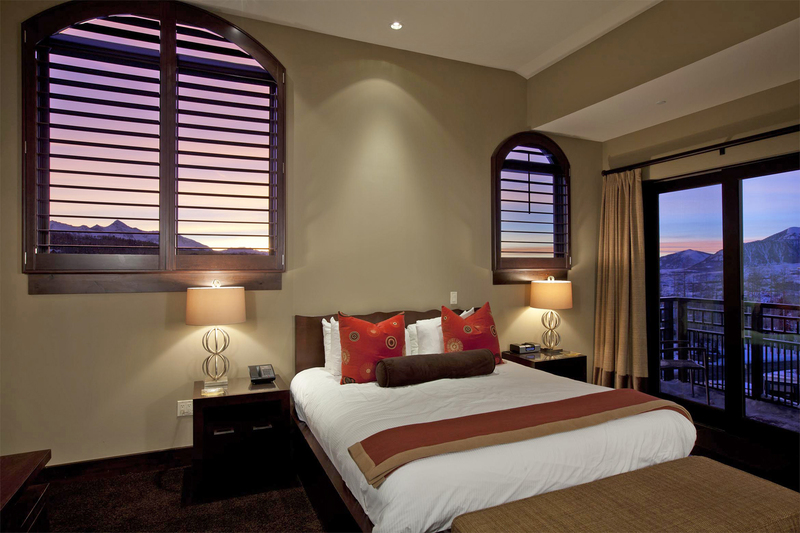 With only 11 rooms (there are also 18 residences), its intimate yet includes all that you would need, such as a restaurant; bar; three outdoor soaking pools; a Jacuzzi and sauna; and spa. 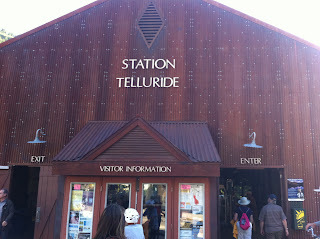 The staff is also knowledgeable and helpful when it comes to anything you might need in Telluride. Dinner was set up with Emily from the Telluride Tourism Board. We were meeting downtown at Cosmopolitan Restaurant and when we asked how to get there, I was in for quite a surprise at the answer. 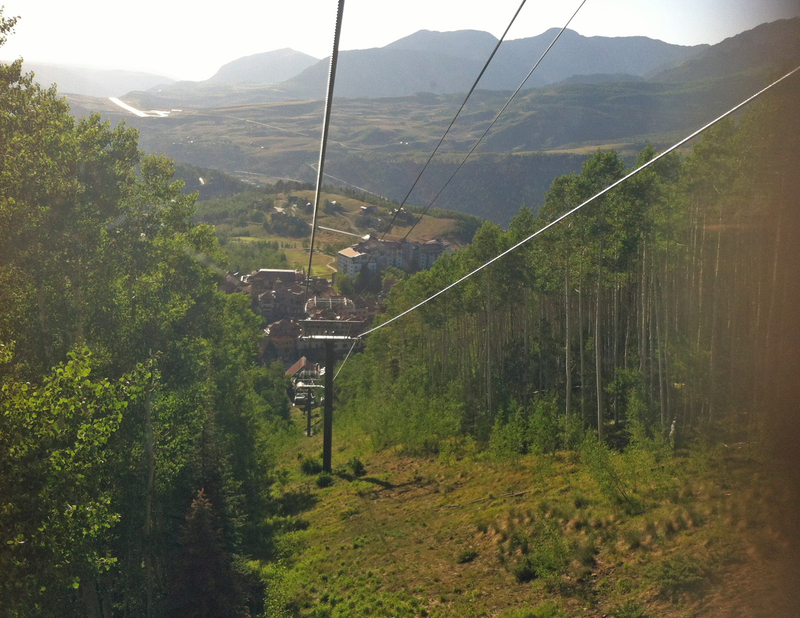 It seems that in Telluride you get around by Gondola – even when you aren’t skiing. We took the short walk from the Lumiere to the Gondola Station and hopped aboard. I have to admit I was a bit nervous at first, but Lisa and I grew calm quickly when we were blown away with the views. It was certainly better than driving (and walking up and down mountains isn’t an option). When the Gondola arrived downtown, we were just a block away from the restaurant. Emily was waiting to meet us at this popular restaurant, known for its seasonal menus. I started with The Classic Cosmo, made with Telluride Vodka, Cointreau and cranberry juice, while Lisa had a local beer. The menu was very interesting and quite international. 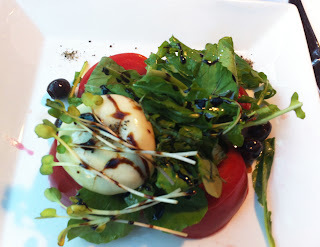 I began with the Heirloom Tomato with goat cheese burrata and a well-matched balsamic dressing. Lisa chose the goat cheese salad with fresh oranges and was quite happy with it. We also nibbled on freshly baked bread, something the restaurant does daily. For dinner, the Grilled Pork Tenderloin with a port reduction was very good, but the accompanying macaroni and cheese was just incredible. 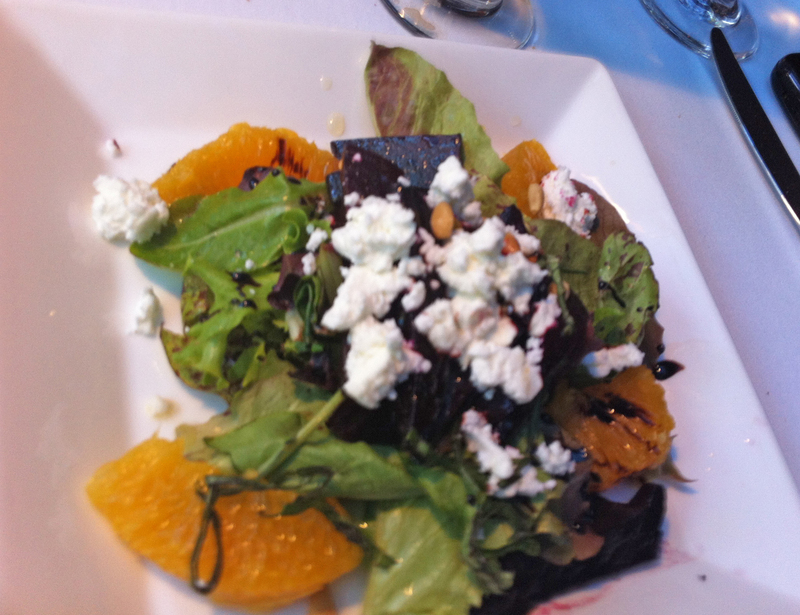 Lisa had the Kobe Beef and said it was excellent, melting right in her mouth. Emily told us a bit about Telluride, including popular events like the Bluegrass Festival and Telluride Food & Wine. She also explained how people don’t realize there is year round activity here, which I have to admit I was guilty of not knowing too. We finished the meal with dessert. For Lisa, it was a dish of triple chocolate, Kahlua and caramel sorbets. 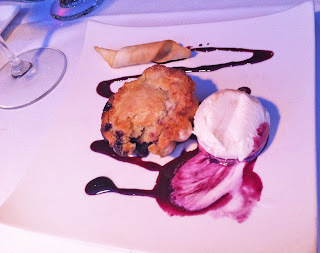 I went for the Lingonberry Pie and it was one of the best pies I’ve ever had. We thought about hitting a bar downtown, but decided to take the Gondola back to the hotel instead. When we got back to the suite we briefly extended the night a bit with a glass of wine in the hot tub on our deck. It was a beautiful night and the water was just perfect. 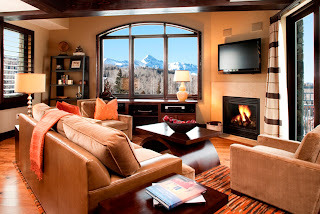 I settled into my bedroom for a good night’s sleep and a full relaxing day in Telluride ahead.